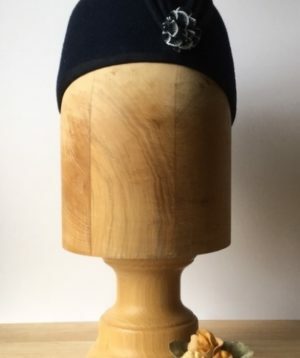 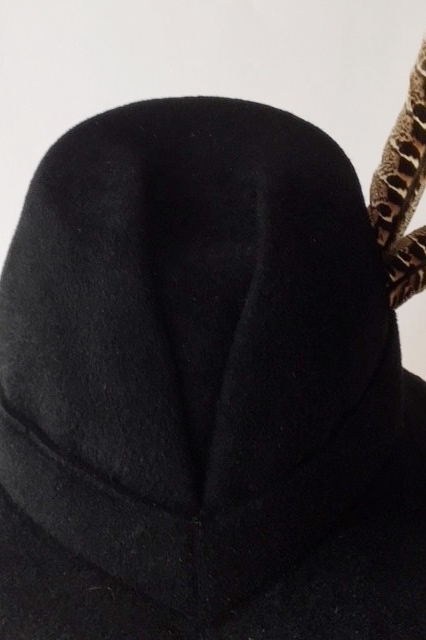 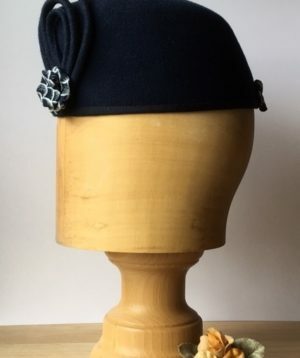 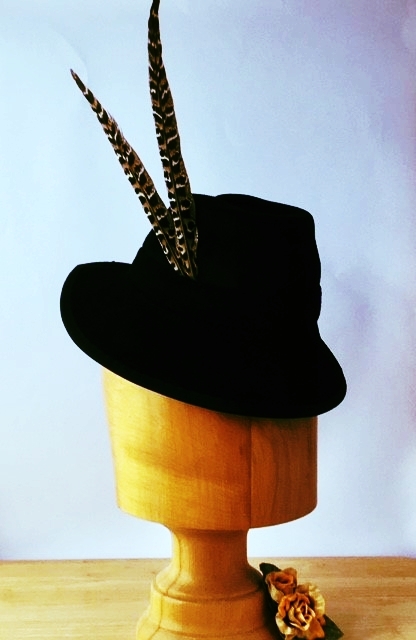 Lovely small perching black fur felt trilby/chimney pot style hat. 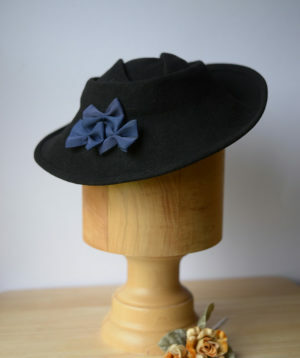 Small brim, trimed with black grossgrain ribbon. 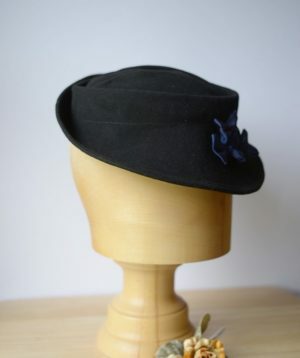 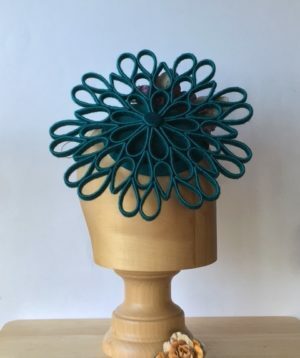 Crown of hat is trimmed with hat band of black fur felt. 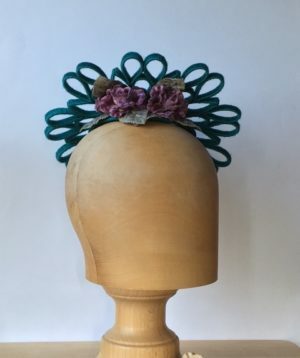 Crown is gathered at back for detail and stiffened with millinery buckram. 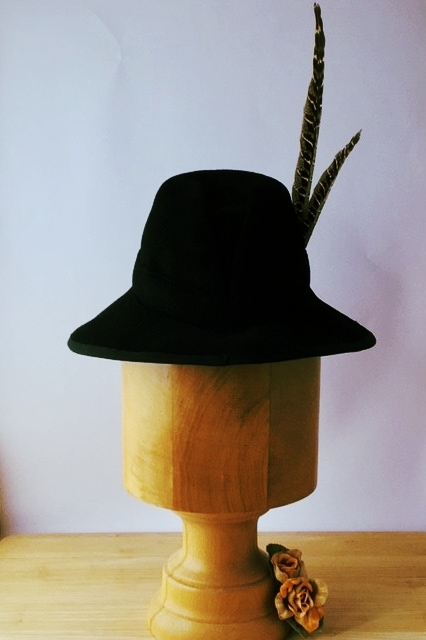 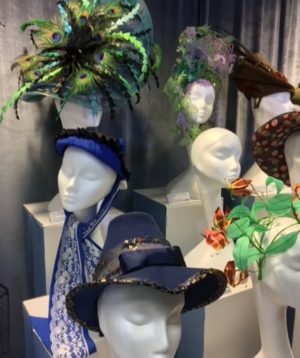 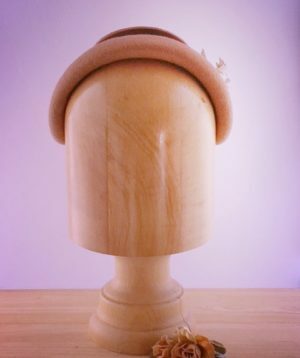 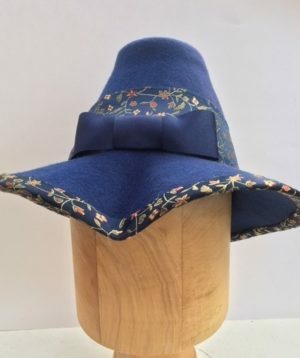 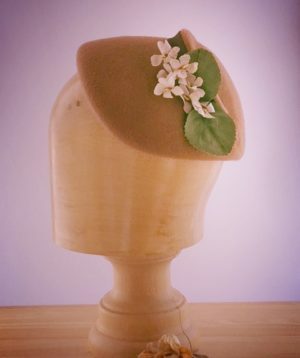 Two woodland found pheasant feathers adorn the hat and the inside of the hat is finished with the signature hat lining.